Michael Jackson was the top artists of the day when he released his pop song with a horror theme. Few songs had been written of such a theme, or were primarily for the holiday of Halloween. However, Thriller had lasting power beyond the theme of Halloween. The song was written by Rod Temperton. Jackson and his producer, Quincy Jones, asked Temperton to write a song. Temperton thought of Jackson’s love for movies and wanted to create something theatrical. Jackson told Temperton he’d like something that would appeal to children. Temperton said the title Thriller came about when Quincy said to me, ‘You managed to come up with a title for the last album, see what you can do for this album.’ I said, ‘Oh great,’ so I went back to the hotel, wrote two or three hundred titles, and came up with the title ‘Midnight Man’. The next morning, I woke up, and I just said this word… Something in my head just said, this is the title. You could visualize it on the top of the Billboard charts. You could see the merchandising for this one word, how it jumped off the page as ‘Thriller’.”…”It was a really crap word to sing: ‘Thriller’. It sounded terrible.” But when Jackson sang it into a studio mic it sounded spot-on. Two hours later Temperton had written the lyrics. It was close to midnight. 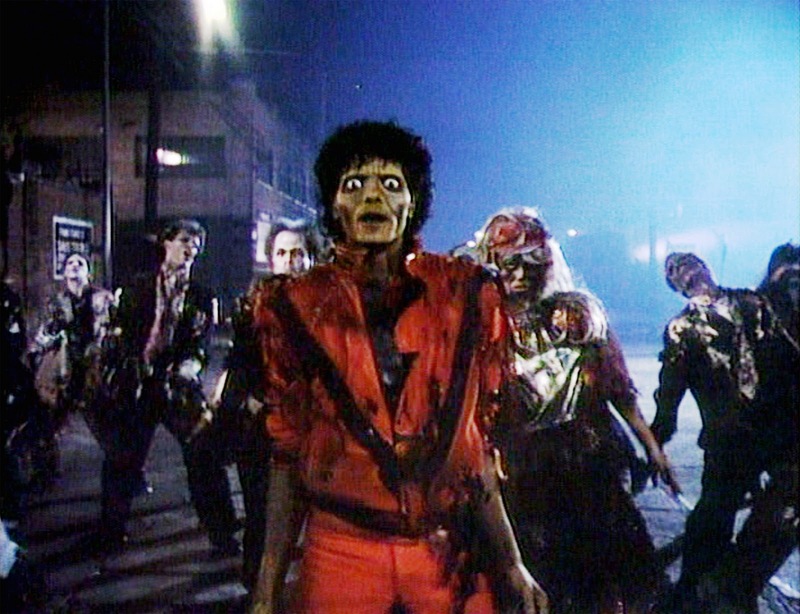 The song was recorded with other songs for the Thriller album over the course of eight weeks in 1982. 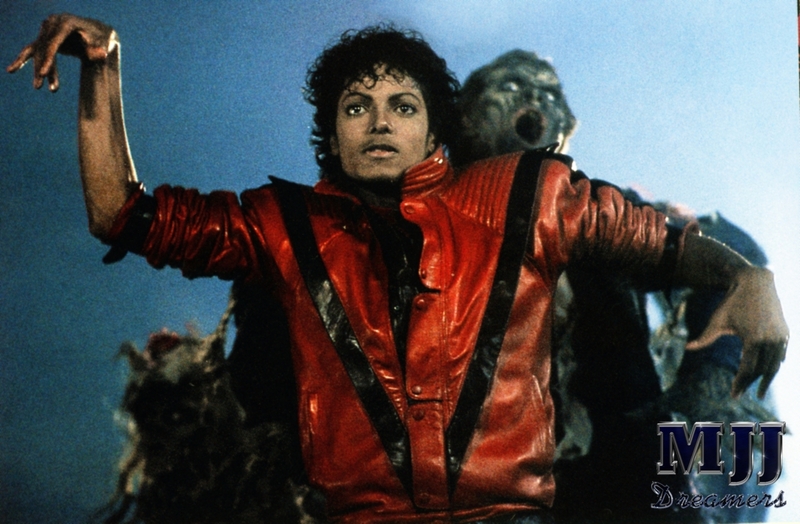 Thriller received high acclaim by the critics and became a signature song for Jackson. The album and video editions differ in the beginning. The album version has spooky effects that do not lend to dancing. Jackson and his director, John Landis, knew they had to sell the video and make it scary. For that reason they had Jackson transform into a Werewolf. Landis had worked on the 1981 movie An American Werewolf In London. The video was a cultural milestone. The video introduced elaborate choreography, costumes and dialogue. The famous graveyard dance inspired the group dance scenes that became a trend. Producer Quincy Jones wife suggested Vincent Price for the narrations. Vincent Price recorded the narration for the song. Jackson was a fan of Price who was known for his horror films. The line “must stand and face the hounds of hell” was inspired by the Sherlock Holmes book The Hound of the Baskervilles. The video cost $500,000 to make, but the costs were covered by Showtime and MTV. The initial screening of the 14-minute short film occurred in Los Angeles on November 14, 1983. The video was released a few weeks before Christmas to video in 1983 and even included the full video and also “The Making of Michael Jackson’s Thriller,” a behind the scenes documentary. The short video opened for one week for Disney’s Fantasia. In 1984, at the first MTV Awards the video won awards for Best Performance Video, Best Choreography, and Viewers Choice. Thriller became the best-selling album of the day. After the death of Michael Jackson the album regained that title. The music video is considered the most famous music video of all time. Jackson revolutionized music videos and pop albums. Jackson closed all three of his solo world concert tours with Thriller. He’d also planned to perform the song on his This Is It world tour. He died before he was able to make the tour. In 2008, Thriller 25 was released to celebrate the 25th Anniversary. 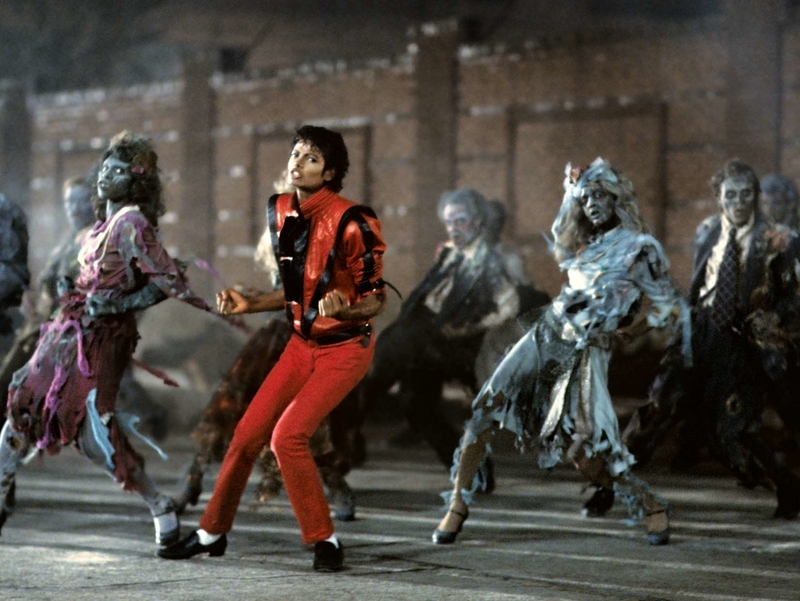 In 2009, the Library of Congress added Thriller to the National Film Registry as their first music video.